NASA’s Dawn spacecraft is in the process of spiralling down into its final, lowest-ever orbit around the dwarf planet Ceres, aiming for an elliptical trajectory that will carry it to within 50 kilometres (30 miles) of the surface at its low point – 10 times lower than its ever been before. Starting in early June, Dawn will begin collecting gamma ray and neutron spectra to better understand the composition of the topmost rock and soil layers while taking high-resolution photographs of the cratered terrain below. 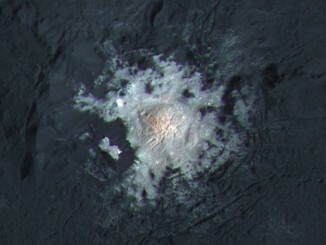 Launched in 2007, the Dawn entered orbit around Ceres in March 2015 after wrapping up similar studies at the dwarf planet Vesta. The spacecraft had not fired its ion thrusters since last June, orbiting Ceres once every 30 days, but it’s now using engine No. 2 to slowly lower its orbit. 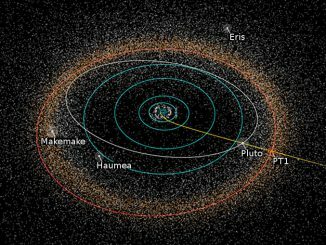 The final orbit will have a high point of 4,000 kilometres (2,500 miles) and a period of 27 hours and 13 minutes. 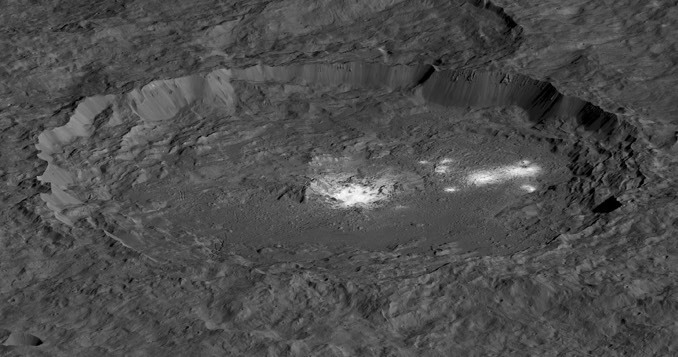 The goal is to synchronise Dawn’s orbit with the nine-hour four-minute rotation of Ceres to ensure the spacecraft will repeatedly fly over a specific point on the surface – Occator Crater, where highly reflective salt deposits are visible – during the low point of each orbit. 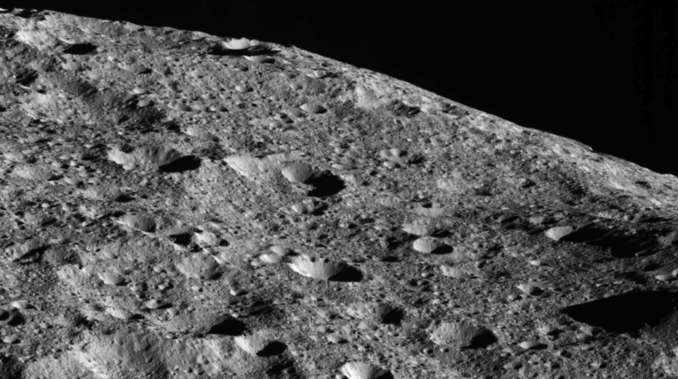 “The flight team will synchronise the orbit so that each time Dawn swoops down to low altitude, it does so at just the right time so that Ceres’ rotation will place the Occator geological unit under the probe’s flight path,” Rayman writes. But it will not be easy, and it will not last. 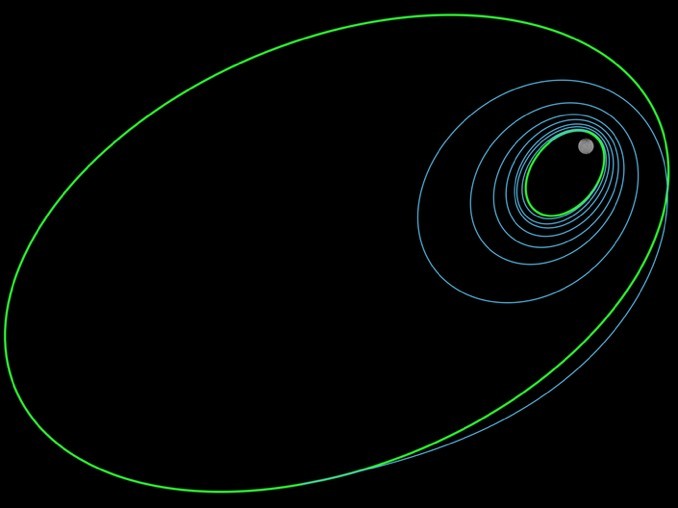 JPL flight planners studied more than 45,000 possible trajectories before choosing the one now being implemented. Even if Dawn achieves and maintains the desired orbit, taking sharp, focused pictures will pose yet another challenge. The spacecraft will be racing across Ceres, from south to north, at 1,690 kph (1,050 mph) at the low point of the ellipse. 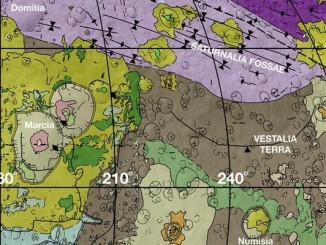 Occator crater is 92 kilometres across (57 miles) and from Dawn’s perspective it will be moving to the right at more than 310 kph (190 mph). Dawn’s camera will image an area 3.4 kilometres (2.1 miles) across. 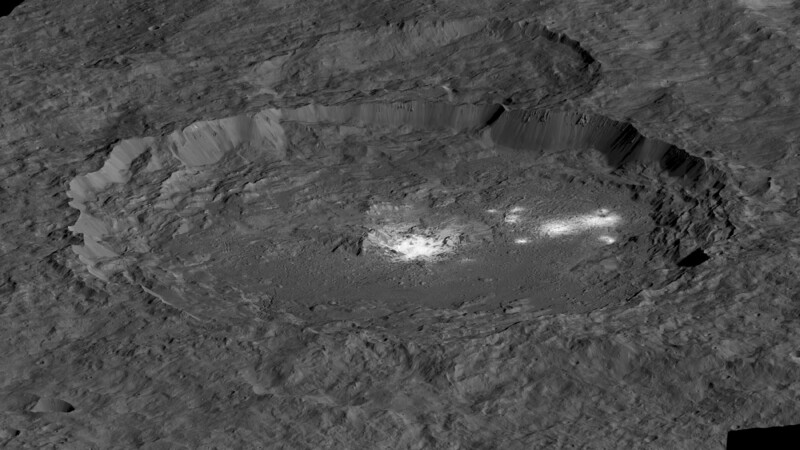 The Dawn spacecraft has finally been able to get a good look at the famous bright spot on the surface of Ceres, with NASA releasing new images at the Lunar and Planetary Science Conference in Texas.